Kath's funeral service will take place at St Joseph's Church, Accrington followed by committal at Accrington Crematorium. On 18th January 2019 peacefully in East Lancashire Hospice, Kath aged 71 years of Wilpshire, Blackburn. Inspirational mum of Philip and Liane, dear mother-in-law of Chris, cherished grandma of Natasha, Harvey and Myles, loved sister of Pip, Susan and the late Howard. Born in Accrington on June 4th, 1947, Kath attended Huncoat Primary School and then Holy Family Secondary School in Oswaldtwistle. Getting a job at the age of 15, Kath worked in the office at Hardy’s furniture store in Accrington and it was while working there that, at the age of 18, she met and married her husband Jimmy who was a delivery man. Jimmy’s parents were Mayor and Mayoress of Accrington at that time and Kath was on the Mayoress’s committee during the Seventies. Kath and Jimmy went on to have two children, Liane and Philip, but later divorced. Kath subsequently studied for a HND in Business Studies at Blackburn College and worked for Hargreaves and Company in Accrington as a book keeper. A dynamic woman, Kath went on to secure a job at Springhill Nursing Home at Accrington were she would become manager and have a career spanning 35 years. In 2015, Kath picked up an award at The Great British Care Awards for her outstanding contribution to social care. Diagnosed with stage three ovarian cancer 17 years ago, Kath carried on working while undergoing treatment and was eventually given the all clear. Determined to live life to the full after being given this second chance, Kath threw herself into her passions of which singing was one. Kath joined the Clitheroe Pop Choir in January 2011 and was a member of its alto section for eight years making many friends during that time. Susan Sykora, musical director/founder of the choir, said: “Kath was a member of the choir for many years and always brightened up the room with her beautiful smile.” During her time with Clitheroe Pop Choir Kath sang on the main stage at the Ribble Valley music festival Beat-Herder twice. As well as singing, Kath, who was very fit and active, and according to her daughter Liane, “never sat still”, also played golf and was Lady Captain of Baxenden Golf Club in 2007. She was also a member of a local ramblers group, bought and rode a bike in later life and went to pilates every week. Kath also enjoyed a great social life and travelling, and for her 70th birthday she holidayed in Marbella with friends. She also travelled to Vietnam last year to celebrate her son’s 50th and enjoyed trips to Rome, Poland, Kenya and a cruise down the Nile, making the latter two trips on her own. She also travelled to France every six weeks to visit her daughter Liane and her grandsons Harvey and Myles, with Kath and Liane making frequent visits to Paris and Nice. Kath, who has three grandchildren, Natasha (25), Harvey (19) and Myles (16) carried on working until June last year. Rest In Peace. The funeral will be followed by a celebration of Kath’s life at Accrington Bowing Club on Burnley Road. 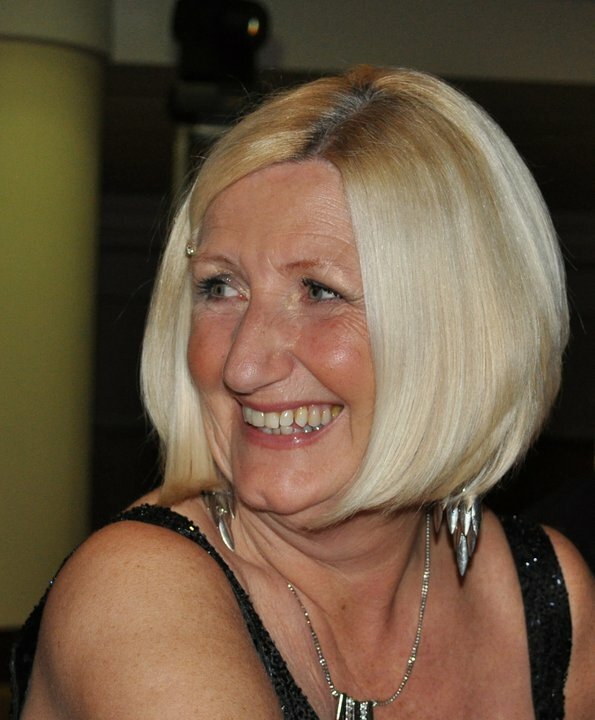 Donations can be made to the East Lancs Hospice in Kath’s memory via Champ Funeral Services.